Robert Downey Jr. reprises his role as the world’s most famous detective, Sherlock Holmes and Jude Law returns as his friend and colleague, Dr. Watson, in Warner Bros.’ soon-to-be-released sequel, “Sherlock Holmes: A Game of Shadows”. You can get an exclusive look of the special content trailer after the jump. Sherlock Holmes has always been the smartest man in the room until now. There is a new criminal mastermind at large, Professor James Moriarty (Jared Harris). He is Holmes’ intellectual equal and his capacity for evil and complete lack of conscience may just give him an advantage over the renowned detective. Around the globe, headlines break the news: a scandal takes down an Indian cotton tycoon, a Chinese opium trader dies of an overdose, bombings in Strasbourg and Vienna and the death of an American steel magnate - no one sees the subtle connections between these events except Sherlock Holmes who has concluded that Moriarty is the mastermind of a devious plot to not only bring him immense wealth and power but also alter the course of history. 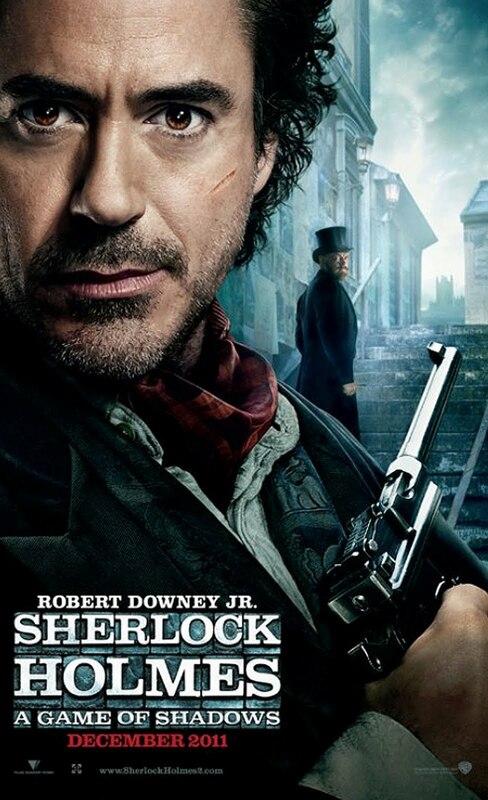 Opening across the Philippines in January 2012, “Sherlock Holmes: A Game of Shadows” is distributed by Warner Bros. Pictures, a Warner Bros. Entertainment Company.